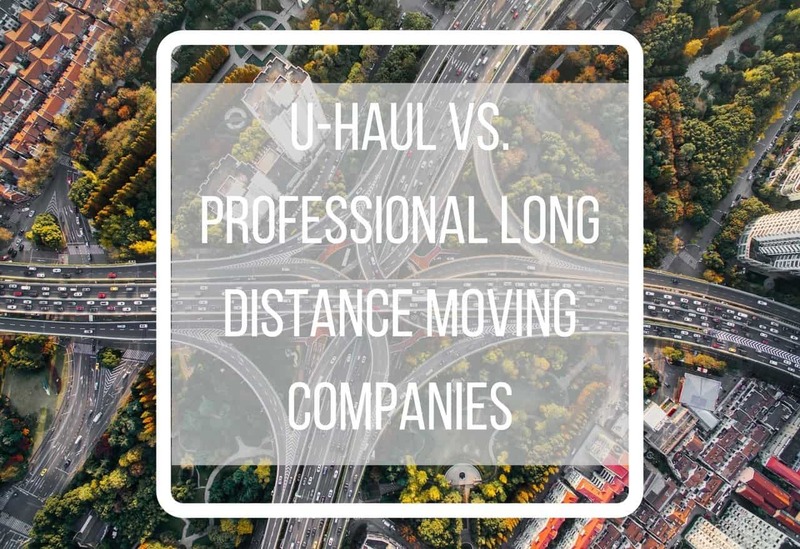 Whether you’re starting a new job a few states away or you are moving just for a change of scenery, long distance moving can be a tricky process. Regardless of when or where you make a move within the United States, you’ll need to decide whether or not you’ll move yourself or hire a professional national moving company to help you out. It’s easy to see the benefits of letting a professional handle the whole moving process, but there are also benefits to renting a U-haul and doing the work yourself. By listing out different pros and cons of hiring a moving company or moving on your own, you can better determine what will work best for you instead of hastily making a wrong decision. This has to be the biggest selling point for any professional moving company. When you hire a mover, your responsibilities end once you’ve negotiated a rate and provided them with your moving dates and address. If you book a full service move, the movers will handle everything else, from packing up your belongings and transporting them safely to your new address, to unpacking your things and helping you settle into the new house. When you use U-Haul, you have to do everything yourself. Not only will you have to get all of your boxes packed, you’ll also need to enlist the help of family or friends to get the truck loaded. After driving across the country and navigating traffic in an oversized truck, you’ll have to unload it all and get the truck returned within your contracted time. The DIY approach to moving can be tiring and time-consuming, as most people don’t have the know-how involved to pack and move their belongings over long distances. A professional moving company packs your belongings and transports them safely for you. Using a professional moving company can get expensive, especially if you opt for a full service move. According to AMSA, the average interstate move costs $4300, which for most people is a large expense. While there are many ways to reduce the cost of a professional long distance move, going the DIY approach will undoubtedly save money. Renting a truck and moving things yourself could save you of hundreds or even thousands of dollars. If you’re looking to save money and aren’t opposed to packing and loading, then renting a truck from a company like U-Haul or Budget Truck and driving yourself across state lines is the best way to go. Appropriately licensed professional moving companies take full responsibility for moving your belongings. All interstate moving companies are required to carry insurance so that if anything unfortunate happens during your move, you’re guaranteed compensation for any of your losses. This is not the case when you do it yourself and rent a U-Haul. There have been cases where people have lost most of, if not everything, they own during accidents or other unexpected events that can occur during a move. Moving yourself allows you the freedom to make changes in scheduling. Most professional movers require you to book your move several weeks in advance, with a down payment to secure a moving date. Should circumstances necessitate a change in your plans, or if you haven’t taken care of everything on your checklist, you’ll probably have to forfeit your deposit. When renting a truck, there’s more flexibility to book a last minute move or even change your moving date without losing your deposit. In the end, the choice between choosing a professional moving company or moving yourself comes down to what best fits your needs. Would you rather save money and have more freedom, while enduring the stress and fatigue that comes with moving yourself? Or would you rather have the peace of mind that comes with hiring a professional moving company, even if it is more expensive and inflexible. If you can afford it, most people find it’s easier to hire a professional long distance moving company to do the heavy lifting (Get Free Quote from greatguyslongdistancemovers.com).